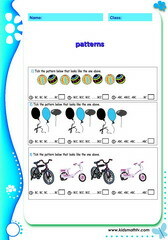 Math worksheets on patterns for For PreK, Kindergarten, 2nd, 3rd, 4th, 5th and 6th Grade Children, Test Math Skills on Patterns. 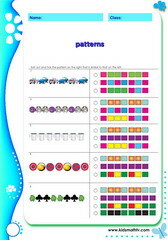 Math worksheets on patterns for children from Pre - kindergarten to 6th grades. 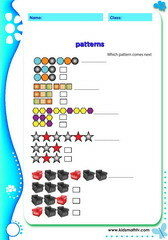 It starts with identifying patterns using objects like similar patterns, increasing patterns, growing patterns and repeating patterns. 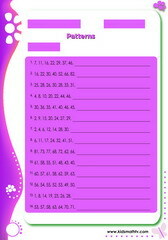 Later in 4th to 6th grades, kids start practicing number patterns like geometric and arithmetic patterns. 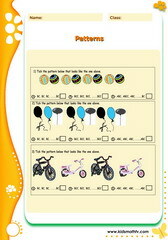 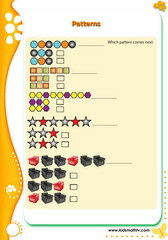 These worksheets are well illustrated and patterns learnt can be applied to daily life experiences. 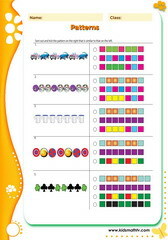 Remember these are PDF printable materials, hence they could be mass printed and used in the classroom or at home to supplement a math course. 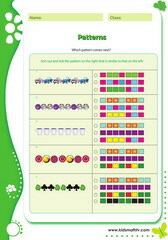 Test your kids math skills on patterns with these worksheets but also remember to play related games on the site. 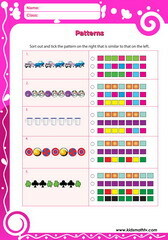 Practice Similar patterns with this worksheet. 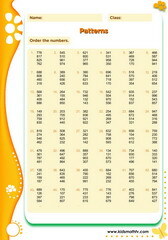 Practice Growing patterns worksheet with this worksheet. 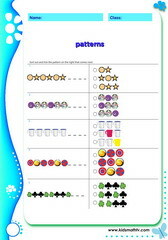 Practice Similar patterns worksheet with this worksheet. 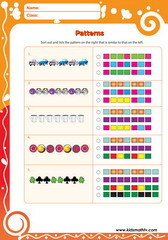 Practice Complete missing patterns with this worksheet. 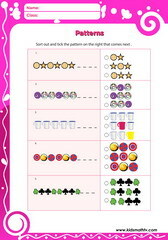 Practice Find similar patterns with this worksheet. 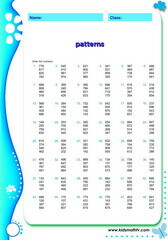 Practice Identify patterns with this worksheet. 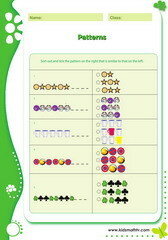 Practice Match patterns with this worksheet. 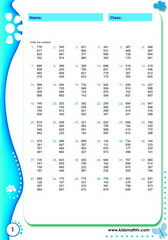 Practice Patterns with this worksheet. Practice Patterns 2 with this worksheet. 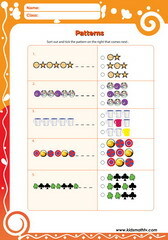 Practice Patterns complex with this worksheet. 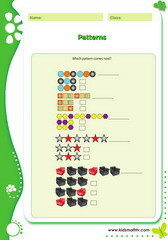 Practice Patterns easy with this worksheet. 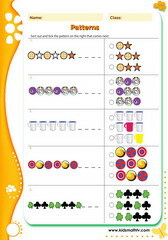 Practice Patterns harder with this worksheet.